I am days away from being an auntie for the first time. OH BABY! I can’t wait. Sure I am a proud momma but I can’t wait to be an (ehem..the coolest) aunt. So while I await news, I contemplate all things kid. Currently in our fall forest display we have the most awesome onesies. Moon and Sparrow is a line of goodies by artist Sandra Dumais. 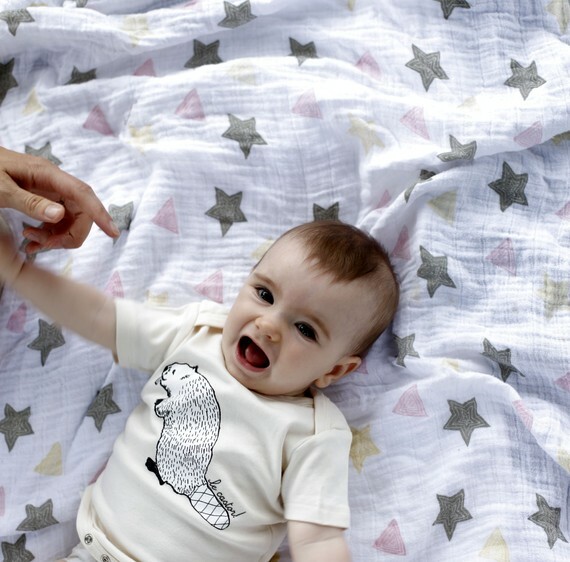 All clothing is made from %100 Organic Indian Cotton and hand printed in Montreal using veggie based inks. 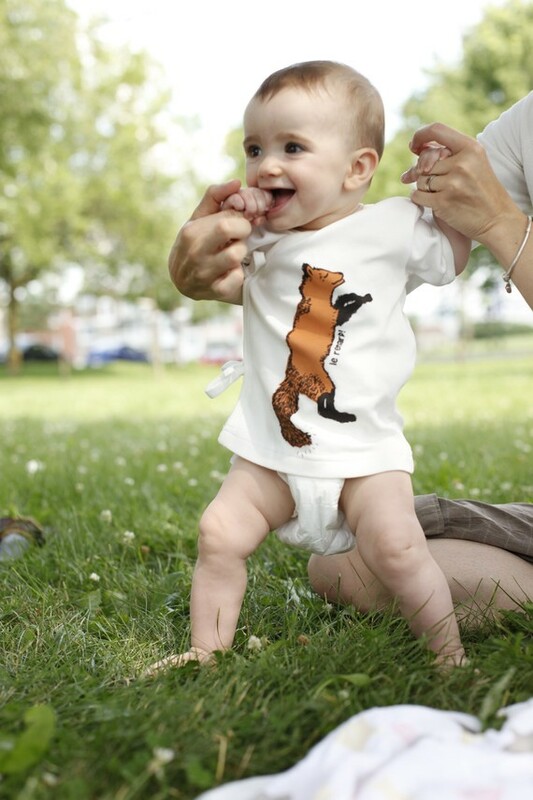 Her prints of a fox (le renard) and beaver (le castor) are so frickin’ adorable. Do you have a baby gift in your future? You might also want to consider the awesome locally made quilts by Sharken Designs. 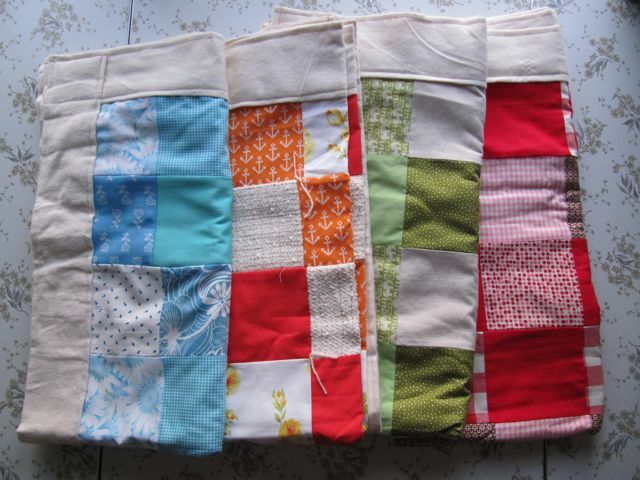 These patchwork quilts are made with vintage and reappreciated fabrics and unbleached flannel. They make a great snuggle or play quilt. 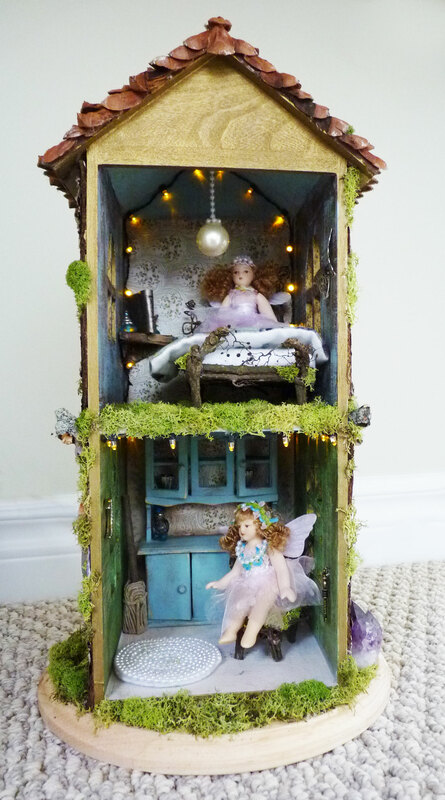 And finally I just must tell you about a recent crazy cool contribution to Love, Me: the Moss Hollow Fairy House. So you all know Meaghan Smith the musician, right? (If you don’t, get thy self to a CD store immediately and pick up The Cricket’s Orchestra. Or at the very least check out her site.) What you may not know is that Meaghan’s talents extend beyond the stage/recording studio. She is a gifted maker – making art and crafting goodies like purty purses (available at Love, Me as well) and the Moss Hollow Fairy House. 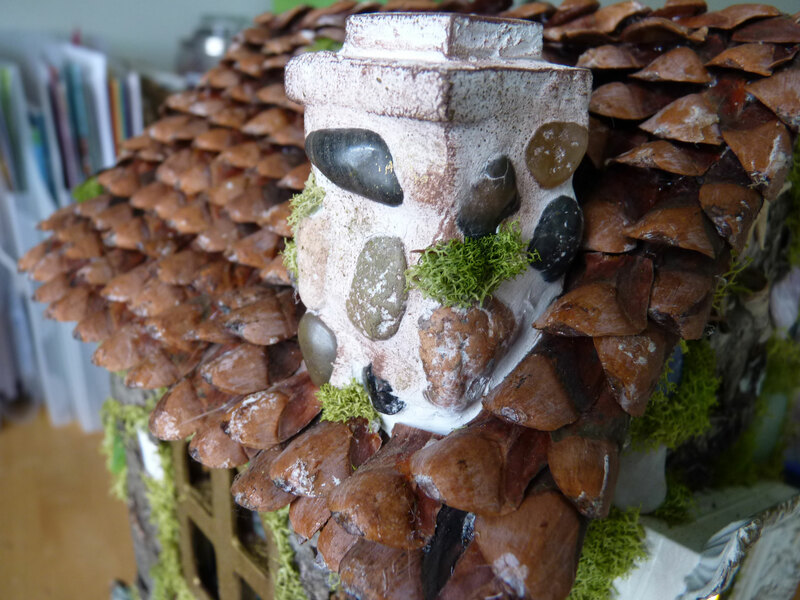 Moss Hollow Fairy House is made of natural treasures from around Halifax – moss, bark, pinecones, beachglass, shells, rocks – and filled with adorable accessories like acorn bowls, a tiny leather bound book, a small twig broom, twig and wood furniture, and it lights up with, yup, fairy lights! Two porcelain fairies included. Seriously – this little piece of whimsy would sweeten any little girls heart. (Or boy. The day Meaghan brought it in, there was a nice gentleman of about 28ish who was completely in awe of this piece. So…it’s not just for the gals.) Come in and see it in person.